Keep your users happy by learning to design for optimal user experience. Visitors to your website don't just want to see what you have to offer—they want to be able to easily navigate and understand your site as well. Make your website designed for the ideal user experience with the UI/UX Professional Designer Bundle, on sale now for just $39 (approx. £32)! The UI and UX Designer Bundle contains over 32 hours of amazing design training geared toward improving the overall experience on your websites. 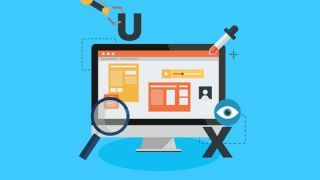 Pick up the fundamental concepts of user interface and experience design with eight courses you can access at any time. It's perfect if you're looking to add some polish to your site or brush up on modern design principles. You can get the UI and UX Designer Bundle on sale right now for just $39 (approx. £32). That's a massive 94% savings off the retail price for an essential bundle of courses, so grab this deal today!